We like to support charities that are close to the hearts of our staff, suppliers, and customers and judge each request on its merits. We also have a policy of doubling all staff charitable donations. Unfortunately, we are unable to support personal appeals on behalf of individuals, including overseas trips. The lovely Astra from our Accounts Team last month organised an event to help raise funds for Henry. Henry is a lovely boy who needs regular therapies for his Cerebral Palsy Spastic Diplegia to help him with skills to sit, crawl, walk with a walker and now learning to walk with just sticks thus increasing his stamina to go even further. We raised some money back in 2017 to help get Henry a brand new wheelchair for his ever changing needs. The funds for Henry’s therapies is sadly no longer there, so we decided to hold a bake sale and a bric-a-brac sale. The SureSet staff did amazing, they brought in so many cakes we had plenty left over for the following day. We also took cakes around the estate for people to purchase. The bric-a-brac sale was also a great success. All in all, we made a brilliant £200 for Henry. This year for the Bath Half Marathon our resident “IronMan” Duncan, decided to raise money a different way. He took part in the Battle of the Bands 2019. 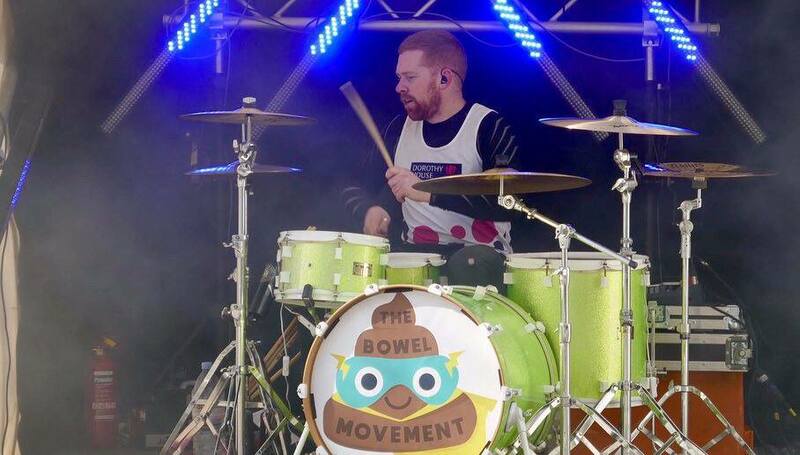 Duncan last ran the Bath Half Marathon back in 2016, he loved how much the bands were a brilliant influence and support to the runners so, he started applying to take part in the “Battle of the Bands”. 2019 was his year, this is when Drumcan came alive. Well done Drumcan from everyone at SureSet. 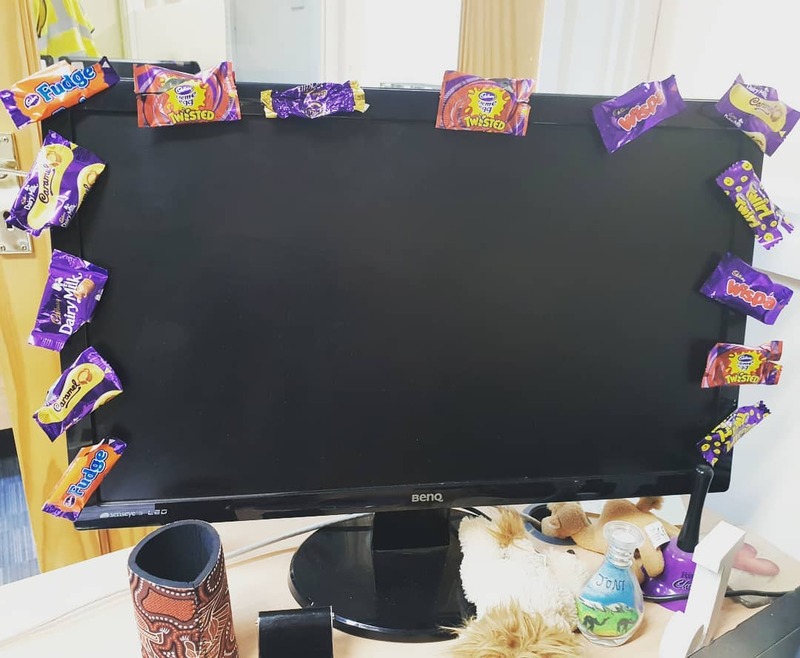 Lauren and Joni from the Marketing Team are taking part in the DECHOX2019 (which means they are not allowed any chocolate in February) to raise money for The British Heart Foundation. Both Lauren and Joni are big chocolate fans, so undertaking this challenge may prove hard for them especially when some of their colleagues show their support in a slightly different way, as you can see in the image below! Dorothy House Christmas tree collection. 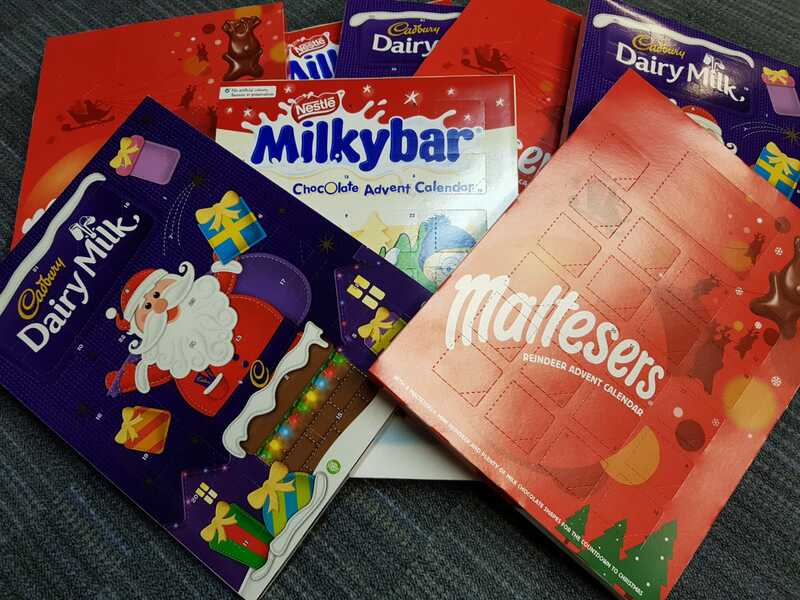 SureSet Staff donates advent calendars. Each year SureSet buy every member of staff an advent calendar, this year 14 members of staff kindly donated their advent calendars to these hospitals, they are off to Sarum Ward and Piam Brown in Salisbury District Hospital for patients and siblings. The remaining calendars will be sent to the children’s ward and elderly care patients at Southampton Hospital. For a dementia patient, they are an enjoyable way for them to keep track of the days leading up to Christmas Day. In total there have been over 60 advent calendars donated to this amazing cause. This is a brilliant way to start off December, helping more people enjoy this magical time of year. 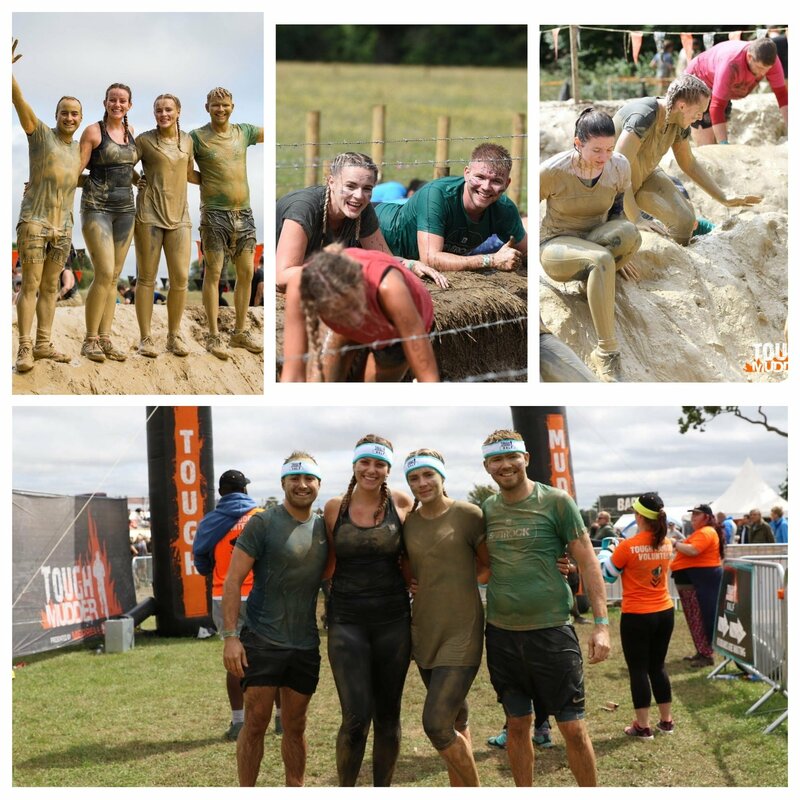 On the 19th August, Georgia from the Marketing Department took part in 2018 Tough Mudder event, which was held in Badminton, Gloucestershire. This was the first Tough Mudder for Georgia and her 3 friends, they did find it a challenge but managed to complete the course as a team. Throughout the course you don’t just help your team, you end up helping everyone else along the way. It’s a brilliant team bonding experience. “Bring on the 2019 Tough Mudder” Georgia. On Sunday 15th July 2018 Hugh (from the Operations team) took part in the Frome Half Marathon. Hugh was raising money for Dorothy House and completed the run in 2 hours 27 minutes, which is a brilliant achievement and Hugh should be very proud of this especially considerating the intense heatwave we have been experiencing at the moment. This is the 7th time Frome have held a Half Marathon, and each year it gains more popular. The run is completed on closed roads around Frome and the local villages which makes it very picturesque. Hugh completed the run with some friends pictured below, they all definitely earned their pints that morning. Georgia from the Marketing department at SureSet took part in the Bath 10K Race for life in aid of Cancer Research. Georgia ran the race with a couple of friends in the scorching heat and still managed to get a good time of under 1 hour and 10 minutes. Georgia and her friends weren’t going to let the heat stop them from achieving their goal at the weekend. Georgia will also be taking part in a Tough Mudder in August and all money raised will be going to Cancer Research UK. Wag Walk for Bath Cats and Dogs home. Astra, her sister Cassie and Astra’s lovely doggie Vito will all be taking part in the Wag Walk for Bath Cats and Dogs home on the 20th May 2018. This will be the 6th year the sisters will be taking part in this event. You can either do a nice flat 2 mile walk or a longer 5 mile walk starting and finishing at the Bath Cats and Dogs home. Astra and her sister will be doing the longer 5 mile walk with Vito. Below is a photo of Vito. In March the SureSet staff went on a #charityjourney to raise money for Sports Relief “making up the miles”. The challenge was for our staff to collectively make up the distance of 350 miles between two sports related SureSet projects – the famous Manchester City FC and the popular outdoor Jubilee swimming pool in Penzance. Well, we have smashed the 350 mile challenge by completing 421.15 Miles. By doing this we have raised a grand total of £336.65 for Sports Relief. Well Done Team. Our distances were made up of our employee’s sports related hobbies such as swimming, cycling, walking, running and dancing. If you wish to support the SureSet #charityjourney in aid of #SportsRelief, please visit our just giving page. Duncan will be taking part in a Triathlon in San Francesco in America at the end of May. He is also taking part in the Immortal Triple Crown at Stourhead all money raised will be going to Dorthey’s House. Georgia has signed up for a Tough Mudder in August and the Race for Life 10K. All money raised will be going to Cancer Research UK. Hugh is doing quite a few races throughout the rest of the year which includes, Frome Half Marathon, Great North Run and the Yorkshire Half Marathon. All the money raised will be going to Dorthey’s House. Joni Withers will also be completing a 20km walk to raise money for a local friend Lisa Wells, who has been diagnosed with stage 4 terminal cancer just 13 weeks after giving birth to her 2nd child. You can read Lisa’s story here. On 6 January 2018, we helped Dorothy House to raise funds by collecting Christmas trees! Overall the collection was a tremendous success, with a total of £12,800 raised across the nine local postcode areas. Our SureSet Super Cyclists raised nearly £500 for 2017 Children in Need. You can read the Blog here. In July 2017, Hugh Haines took part in a charity fundraising boxing match last to raise funds for Dorothy House Hospice Care in memory of his father, Nicholas. Hugh not only ‘smashed’ his opponent, he also smashed his fundraising target of £750 and raised a whopping £1,256.00! SureSet Superheroes – characters based on similarities they shared with that staff member started as a ‘Ned’ joke and ended up raising more than £200 for the MS Trust. Our Office Administrator, Astra Coath has been friends with Lara Latchem since they were at Primary School. 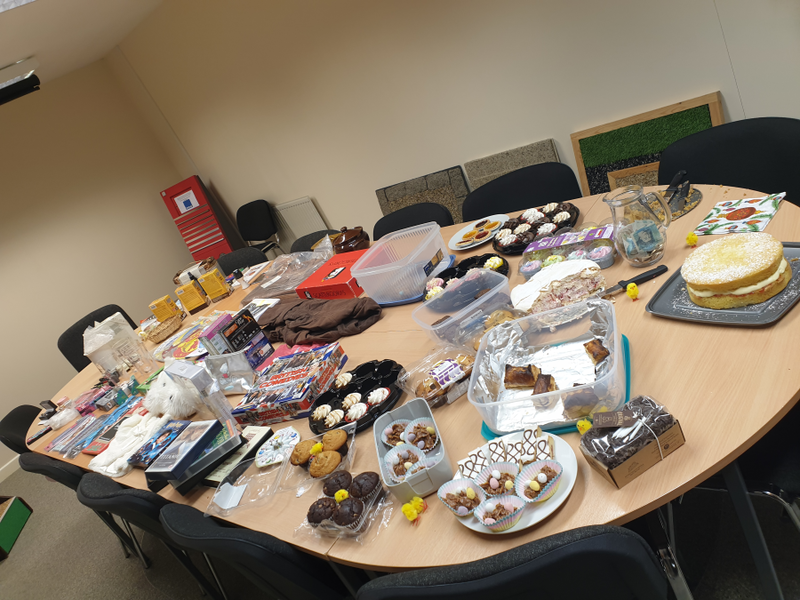 So, when Lara’s Son Henry needed a new wheelchair Astra couldn’t wait to help and immediately began organising a company ‘cake sale’ to raise funds to support Henry. The fundraising took place on March 6 and a total of £181.00 was raised by staff and small local businesses, SureSet matched this amount to make a whopping £362.00! Astra is sure the family will be thrilled! #LittleStar – Christmas 2015 we are supporting Alexander’s Appeal. Aged two, Alexander was diagnosed with a rare brain tumour and needs to raise money to go to America for treatment. Headway and Breakthrough Breast Cancer – by either bravely volunteering for SureShave or to run the Virgin London Marathon, SureSet staff raised more than £1324.12. Text Santa – Christmas 2014 we produced ‘Christmas Samples’ and made a donation for each one we sent out. Hope and Homes for Children: we supported a fundraising screening of the double BAFTA award winning film Finding Family by Oggi Tomic. Royal British Legion Poppy Appeal: our fabulous Installation Team hand created a number of limited edition SureSet poppies to raise funds for the 2014 Poppy Appeal. Greg White, Director of our Approved Installer GLW Building and Landscapes, to climb Mount Snowdon to raise funds for his step brother, who has spinal injuries. The South West Children’s Hospice in a Christmas poster appeal. Richard Wheeler from our local haulier, JF Pearce, on a London to Paris cycle ride to raise money for Kidney Research UK. Our Warehouse Manager, Matt Coath to run the Bath half marathon for Bath Cat and Dogs home. Jim Newton, Ben Shave and Matt Coath from SureSet ran a half marathon for LOROS, a care hospice in Leicester. Lisa Griggs from BALI to skydive 10,000ft in support of the NSPCC. Thespian staff member John Fletcher raised money for Prostate Cancer when he had to shave his head for the lead male role in a local production of Calendar Girls. Our Chairman Peter Watts sings sea shanties with the Wareham Whalers, raise money to support the Wareham and Purbeck Multiple Sclerosis Society. Children with Leukaemia. Worked with DIY SOS for Children in Need for Little Miracles, Peterborough. Sponsored the charity magazine, Foresters Fund. We also get (a little too!) enthusiastically involved in fundraising days including Movember, Wear it Pink, Race for Life, Comic Relief and Children in Need.